Water film fountain nozzles produce delicate trumpet-style veils of cascading water that resemble garden and pond flowers. 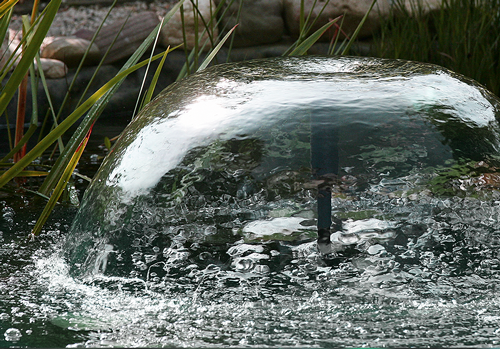 Ideal fountains for garden ponds. Water film nozzles provide an eye-catching, delicate veil of cascading water. The Water Lilly also provide additional vertical water jets in conjunction with the pulsating water sheet. All Water Film Nozzles look stunning with submersible lighting, shining upwards at the water display.